“The Chronicles of Narnia: The Voyage of the Dawn Treader” finds its latest treasure of an actor in newcomer Will Poulter who plays Eustace Scrubb, the bratty cousin of the Pevensies. Returning in their biggest 3D adventure are Georgie Henley and Skandar Keynes who play Lucy and Edmund Pevensie respectively. In the film, the Pevensie children are staying at Eustace’s home when all three are dragged into Narnia via a painting on the wall depicting the ocean which suddenly becomes terrifyingly real as gallons of water flood into the room. They surface in an ocean near Caspian’s ship, The Dawn Treader, and embark on an epic quest to find the seven Lost Lords. 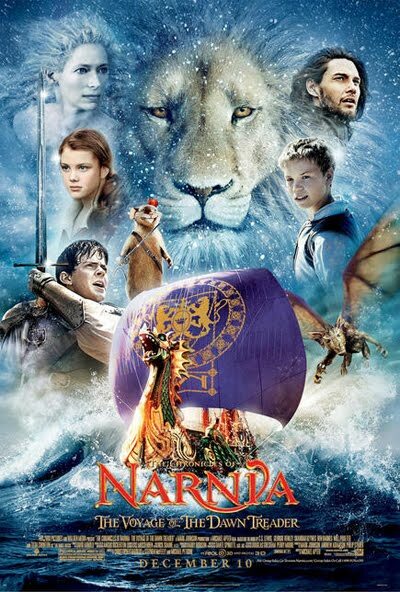 Read on to find out more on the upcominng film, "The Chronicles of Narnia: The Voyage of the Dawn Treader". “Chronicles of Narnia: Voyage of the Dawn Treader” opens December 9 in theatres nationwide from 20th Century Fox to be distributed by Warner Bros.